Ponteland Online News: MEMORIAL HALL - END OF AN ERA! MEMORIAL HALL - END OF AN ERA! Lawrence and June Tallen have retired as Caretakers of the Memorial Hall after 27 years service. Regular user groups of the Hall, as well as some individuals, contributed to a leaving present of over £1,000. 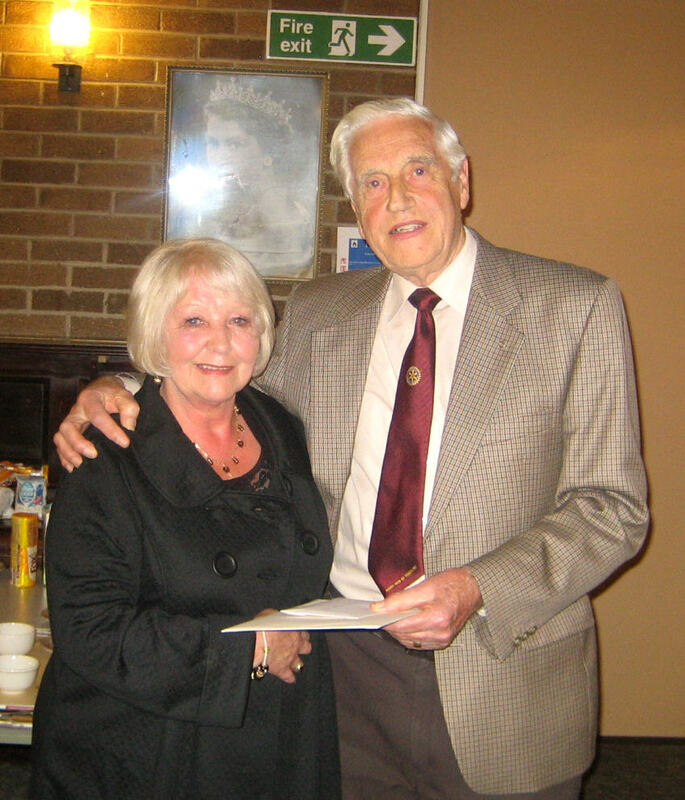 They were represented when Eric Marshall, Chairman of the Memorial Hall Committee, handed over a cheque for £800. In addition a more tangible present, in the form of a Garden Shed, has been delivered and paid for from the contributions. Unfortunately Lawrence was confined to his bed but June accepted the gift on behalf of them both. The new incumbents, Ron and Kathleen Whittington, are now well and truly installed.